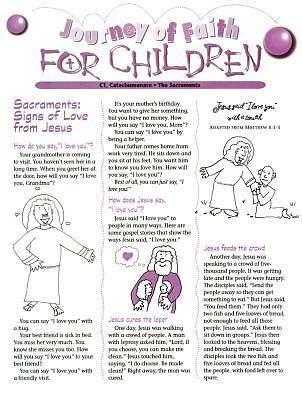 Based on our best-selling adult initiation program Journey of Faith, these handouts explore Catholic belief and practice from a child's perspective, involving participants in Scripture and the parish community. Thought-provoking questions help children in grades 3-5 relate the handout material to their own personal life experiences. Photographs and whimsical illustrations have been added to enhance the information presented, making it "user friendly" and more appealing to those exploring the faith for the first time.